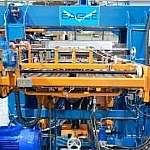 AddisonMckee provides first class products and services designed to enhance tube production capabilities. We operate from state-of-the-art facilities in Canada, the United Kingdom and the United States and provide customers with first class products and services. With many years experience in the industry we are pleased to offer a fantastic range of tooling, CNC tube benders, tube endformers, muffler assembly, hydraulic presses and more. Alongside our standard ranges of equipment, we provide a bespoke service whereby we create machines and equipment to suit specific customer requirements. It is our commitment to provide customers with the most effective solutions at competitive prices. We use high quality materials and state-of-the-art equipment and techniques in order to achieve outstanding results. Please read on and/or visit our website to find out more about our excellent products and services. At AddisonMckee our highly skilled and experienced team works closely with customers in order to produce the most effective tube manipulation solutions. We provide innovative and effective solutions via our full line of AddisonMckee and Eagle equipment alongside solutions for all equivalent competitor models. We use high grade materials and state-of-the-art machinery to create top quality parts. We are also pleased to provide in-house tool try-out capabilities and prototype and part development for special applications. Please visit our website to find out more about our fantastic ranges of Bend Tooling, Endform Tooling and Muffler Tooling. 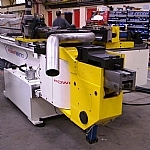 With more than 50 years experience in the industry we have the knowledge and experience needed to produce top quality, reliable bending machines. Our machines are tough and robust and are supplied with a fully automatic CNC control system with 15inch colour touch screen control and alphanumeric keypad as standard. We offer electric, hydraulic and combination tube benders from 4mm to 220mm diameter to suit a range of industry requirements. We also provide on-site installation assistance and training as well as a one year warranty from the date of installation. We also provide a fantastic line of tube endforming equipment designed to suit a range of applications such as expanding and reducing, sizing, beading, flaring, doming, notching, parting, end trimming and angle and radius cutting. Our complete range of endformers is supplied with an Allen Bradley PLC, an operating manual on CD including electrical and hydraulic schematics and a full one year warranty from the date of installation. Please visit our website to view the range in full. Please visit our website to view full product specifications. We also provide 25 tonne, 50 tonne, 75 tonne and 100 tonne C-frame hydraulic presses. With many years experience in the industry we are able to utilise proven and standard design criteria to create hydraulic presses to suit specific customer requirements. We provide customers with all the advice and information they may need to ensure the most effective equipment is created to suit their application and requirements. We pay particular attention to the amount of force necessary to perform the function required as well as the operation speed required. Please visit our website to find out more about our fantastic range of C-frame hydraulic presses. We are pleased to present a global team of application and technical service specialists who are dedicated to providing spare parts and machine services when you need them. Our team is on hand to provide technical advice and assistance so that you can continue operation as soon as possible. If possible, we use remote diagnostics to resolve issues off-site and reduce down time and costs. Alternatively, our field service engineers are ready to carry out repairs when needed or scheduled maintenance works as planned. We also provide upgrades and/or refurbishment of AddisonMckee or Eagle equipment and also provide training courses at our premises or on-site for your convenience. AddiCheck Low-cost tube measuring machine featuring a laptop with software and a measuring arm mounted to a portable work bench. 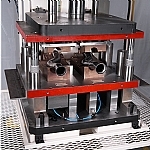 ProdiMate Suited for a single, repetitive operation, automated production efficiency cells can be integrated with any compatible tube manipulation machine, such as a tube bender, endformer, press die or basic handler. ShellRoller Shell rolling machine for forming the round and oval shapes that make up the outer bodies of catalytic converters and mufflers.